Quality, responsive braking is a key aspect of the total driving experience. Predicting when to replace brakes can be tricky as it depends on driving habits and chassis. In general, M-class vehicles require new brake pads about every 10,000 miles while 126-chassis cars may require brake pads about every 75,000 miles. Front pads tend to wear out faster than rear pads as they provide more braking resistance. 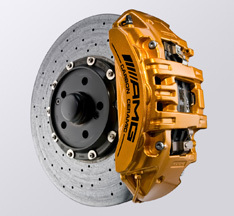 On average, Mercedes front disc brakes last about 50,000 miles. All of these mileages are guidelines, particularly when you factor in driving habits. At Dobson’s German Auto Service, we recommend you have us check your brakes every time you service your vehicle so we can make adjustments that will deliver the performance you are looking for.